Oskar Benjamin Klein was born in Stockholm on the 15th of September in the year 1894. Klein would become the foremost of Swedish theoretical physicists in the 20th century and also an authority in the international scene. Oskar especially studied the fundamental theoretical questions. He was Niels Bohr's (1885-1962) closest associate when both the Correspondence and Complementary principles in quantum mechanics was developed. Klein found similarities between Einstein's theory of gravity and Maxwell's theory of electromagnetism when five dimensions are applied instead of four. This Kaluza-Klein theory constitutes one of the fundamental pillars in today's theoretical physics, especially string theory. The Swede was also one of the first who understood, deepened and found more results to Paul Dirac's (1902-1984) relativistic Electron theory. Klein was broad within theoretical physics and also popularized physics in Sweden by authoring more or less populist books, radio talks and newspaper articles. Oskar's father Gottlieb (1852-1914) was born in Humenné in present Slovakia, close to the Carpathian Mountains, and was both theological and scientifically educated. During the time as Rabbi in Elbing, Germany, he married the German Jew Toni Levy (1857-1940) in 1879. He became thereafter chief Rabbi in Stockholm in 1883. The father was liberal in his role as Rabbi and had contacts with the Swedish king Oscar II. This led to a honorable professorship by the king for his for his scientific research in the theological sciences. Oskar was the second youngest child in the family. Oskar had a gift for studying, became interested in science when he read popular scientific newspaper and became early involved in chemistry there he became assistant to the well established Swede Svante Arrhenius (1859-1927) at the chemical Nobel institute in Stockholm. Arrhenius helped Oskar to publish an article, about the solvability of Zinc hydroxide with radioactive substances, at an age of only sixteen years. In the year of 1914 Klein took an university exam at the "Stockholms Högskola". Arrhenius thereafter sent Klein to Jean-Baptiste Perrin (1870-1942) at the University of Paris but the First World War soon forced him to return to Sweden. Oskar instead did the military service during the years 1915-16 and thereafter continued at Arrhenius with research about electrolytes (Debyean theory for dielectricity). Physical chemistry was at this time still regarded at theoretical physics. He now met Hendrik Kramers (1894-1952), a Dutch student and collaborator to Niels Bohr (1885-1962) in Copenhagen since in 1916, which was on a lecture tour in Sweden in 1917 to convince the Swedes about the new theory of the atom. Kramers got Oskar, which already had an interest in atomic theory, enthusiastic. The visit got Klein the urge to want to stay for a longer time with Bohr in Copenhagen. Klein wrote the Dane, described his limited knowledge in theoretical physics, his work with electrolytes that he wanted to complete, that he wanted to learn Bohr's theories and way of working. Klein was "ordentlig velkommen" (really welcome) and started out as prentice with Bohr in Copenhagen before the summer of 1918 and thereby became the second collaborator after Kramers. He now started to get acquainted with the theoretical physics that Bohr explored. When Bohr didn't have time teaching Kramers did it. They also helped Oskar with his future treatise on electrolytes. Oskar left Copenhagen for skiing in Sweden at the end of 1918. Because of the Spanish disease what ravaged in Scandinavia, and that the Swede contracted, the journey back would be delayed considerably. In the beginning of the summer of 1919 Klein was back at Bohr in Copenhagen as assistant. Among other things they were both at a conference in atomic physics in Lund, Sweden, arranged by the professor there Manne Siegbahn (1886-1979). In November the same year Klein returned to Sweden to work on his doctoral treatise what he wanted to finish in order to having more time to plunge deeper into the new physics of the atom. Supervisor for the treatise was now Carl Wilhelm Oseen (1879-1944), at this time the best physicist in Sweden (in hydrodynamics). Klein had also time to write a popularistic paper about relativity before he returned to Copenhagen in the autumn of 1920. He now wrote an article with the Norwegian astronomer Svein Rosseland (1894-1985) about collisions of the second kind in atom physics. Franck and Hertz had experimentally showed the year before that the velocity of electrons can be absorbed by atoms and excite the atom (collision of the first kind). Klein and Rosseland showed that it is required that excited atoms also can hand over surplus energy to passing electrons (collision of the second kind), and thereby increase the velocity of the electron, in order for the laws of thermodynamics to be preserved. This article, that was submitted in 1920, was the first article ("Zeitschrift für Physik", 1921, Vol 4, p. 46) for publication under the new name of the institute that Bohr erect despite that the Institute for theoretical physics (called the Niels Bohr institute after 1965) was not completed until 1921. It was also Klein's first article in theoretical physics. The results in the article were experimentally verified a few years later. Oskar disputed in 1921 at Stockholms högskola (freely translated "high school of Stockholm", renamed Stockholm University later on) with his work in physical chemistry about strong electrolytes. Examiner was Ivar Fredholm (1866-1927), professor in mechanics and mathematical physics at the University. Opponent was Kramers. The grades was so good ("med beröm godkänt" (very good) for the writing and "med utmärkt beröm godkänt" (excellent) for his defense) that he directly could apply for a degree as "docent" (equivalent to reader in the UK / associate professor in the US) in physics. With the help of a scholarship from the Rask-Örsted foundation Oskar could new become an assistant at Bohr in the academic year of 1921/22. He was offered a "docentur" (readership) in Lund but rejected it despite it was considerably better paid in favor of the Institute in Copenhagen. This meant taking much dictation from Bohr, what was very thorough in his authorship. Amongst others Bohr dictated to the Swede the article about the principle of correspondence. In June of 1922 Klein followed Bohr to Göttingen for what later on would be called the "Bohr Festspiele". The autumn of 1922 Klein spent at Stockholms högskola as unpaid docent. He complemented his doctoral degree with a licentiate's degree in mathematical physics and mechanics. For the spring semester of 1923 Klein was interested in a readership (docent) in Lund and got this for one semester for a start to an allowance of 2500 Swedish kronor for the whole spring semester. Much of the time in the years of 1922 and 1923 was spent writing extensive compilations of Bohr's atom theories on assignment of the Swedish Society of Physicists. These were presented in the 1922 and 1923 year editions of its yearbook "Kosmos" and gave Klein a good view of the atomic physics of the time. The Swede derived the quantum mechanical energy calculation of a molecule that is not rotationally symmetric. The solution, that used Bohr's principle of correspondence, was an achievement considering that already the classical version is complicated. The formula is primarily used in microwave spectroscopy. Klein also improved Johannes Rydberg's (1854-1919) calculation of how the force between the molecules of an atom depends on the observable energy levels of the atom. The RKR method (Rydberg-Klein-Rees) is primarily used for spectrum analysis of two atomic molecules. He took an appointment as "instructor" at the University of Michigan at Ann Arbor, USA, in the spring of 1923. United States wanted to improve in the new physics of the atom, not only by sending students to Europe, but also by getting good teachers from Europe. Bohr had been consulted about if he could recommend someone as a teacher and Niels recommended Oskar that accepted. This office meant an economic security he had not had in Lund (from where he now was on a sabbatical leave) or Copenhagen where there during the time was a lack of academical jobs. This security was needed because Oskar got married to the Dane Gerda Agnete Koch the same year and needed a bigger and more stable economy with children en route. In 1924 he became assistant professor, and the salary was now almost twice the amount (the equivalent to 9600 Swedish crowns for a year) compared with what he previously had in Lund. In Ann Arbor the Swede taught a course in electromagnetic field theory in 1924 and analyzed a charged particle exposed to both an electromagnetical and a gravitational field with the so called Hamilton-Jacobi equation. He saw similarities in the equation between the potentials for Einstein's gravitational theory and Maxwell's electromagnetical theory. This was the start on his work on unified field theory as much later would become one of the key ideas within string theory. It would become Klein's favorite subject and he would pursue the goal of finding a general theory almost like Albert Einstein (1879-1955) would in the 1930ies onwards. Klein tried to solve the problem by adding a fifth dimension and get quantum mechanical equations that can be described with both waves and particles. After some time he came to the conclusion that it was not feasible. But Oskar stuck to the idea that more dimensions were a possible solution. The Swede started to feel scientifically isolated in USA in 1924, being away from the swift development in atomic physics that took place with its center in Copenhagen. He wanted back there as fast as possible. His family went back to Denmark but Oskar was bound to Ann Arbor for the rest of the academic year of 1924/25. In May of 1925 Klein returned to Sweden and could resume his employment as docent (associative professor) at University of Lund. He attracted jaundice soon after his return and regular visits to the Institute in Copenhagen could not start until in the month of March the year after. When he finally returned to Copenhagen Oskar got the knowledge, thanks to Wolfgang Pauli (1900-1958), that Theodor Kaluza (1885-1954) had published a similar theory some years earlier. By reading Kaluza's article Klein realized that he had come one step further than Kaluza. Klein had found that the extra dimensions were rolled up like a ball with a size of the Planck length (10-35 m). He modified his five dimensional theory when Erwin Schrödinger (1887-1961) published his wave mechanics in 1926 and thus managed to get a relativistic wave equation. Klein's result was published in "Nature" in the autumn of 1926. The Swede now became deeply involved in merging Werner Heisenberg's (1901-1976) Matrix mechanics with Schrödinger's Wave mechanics and doing it in terms of the correspondence principle. In 1926 he determined the probabilities for the atomic transitions on a form now called the Klein-Gordon equation (after Walter Gordon (1893-1939) that also came as a refugee to Stockholm and its "högskola" from Hamburg, where he had been dismissed by the nazists in 1933, and also died in Stockholm in 1939) and was the first relativistic wave equation. It was a success because the Compton effect, that up to now had been described from the particle perspective, also could be described as waves with the wave mechanics. The Klein-Gordon equation is only valid for bosons, i.e. particles with integer spin, and cannot for example explain the right fine structure constant of the hydrogen atom or the Zeeman effect. Dirac had proposed that an uncertainty should be introduced in the electromagnetical field theory concerning the relation between the value of the field in a position and its time derivative; similar with the uncertainty principle of Heisenberg. 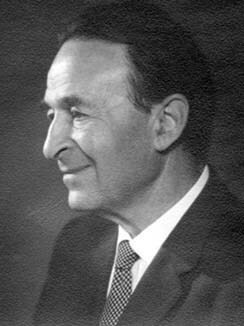 Klein realized together with Pascual Jordan (1902-1980) that the particles shall be described as fields that in its turn should be considered with the uncertainty laws of quantum mechanics. This so called second quantification was a success that resolved many since long time ago unsolved problems in relativistic quantum mechanics. The Klein-Jordan field quantization is valid for particles that follow Bose-Einstein statistics, i.e. with integer spin. Jordan soon also published a field quantification for particles with half integer spin with Eugene Wigner (1902-1995). Each particle type corresponds to a field type and vice versa. This soon led to that new particles were discovered and the Klein-Jordan second quantification idea in now except in elementary particle physics also used in solid state physics. Klein summarized his five dimensional theory in the winter of 1927 to 28, because he no longer believed it would lead to a complete theory, and abandoned it in 1928 when Dirac discovered his relativistic wave equation for the electron, that is both relativitic invariant and contains the spin. He was Bohr's closest associate in the development of the complementary principle and Klein got Heisenberg to realize that his uncertainty principle was a special case of this more general complementary principle in 1927. Niels Bohr had hesitated to publish his, in his own opinion incomplete, thoughts about complementary but his brother Harald forced him to write a speech at the conference in Como, Italy, to the 100th birthday of Alessandro Voltas (1745-1827) in September of 1927. Oskar assisted him with the writing. Bohr convinced Oskar to take over after Heisenberg as associative professor at the Institute from January of 1928 when he became professor in Leipzig. Here the Stockholmian introduced quantum mechanics for the first time in the teaching in Copenhagen. In collaboration with Yoshio Nishina (1890-1951), Oskar formulated in October of 1928 the Klein-Nishina formula. This describes the distribution of the scattering angle between a highly energetic photon and an electron when these collide with each other. The formula considers effects such as radiation pressure and relativistic quantum mechanics. The Klein-Nishina formula was an improvement of J. J. Thomsons (1856-1940) classical equation that had considerable flaws compared to experiments. The formula was one of the first successful applications of Dirac's new theory (regarding the Compton effect) and was to be published in "Zeitschrift für Physik" (1929, Vol 52, p. 853, 869). Nishina was an experimentalist and the collaboration had resulted in conclusions that were unusually evident for the theoretical physics that reigned in Copenhagen and for Oskar. Klein could without Nishina soon draw more theoretical conclusions about Dirac's equation for the electron. Klein noticed an apparently unreasonable consequence of Dirac's relativistic theory for the electron that is called Klein's (pseudo) paradox. This thought experiment tells us that when electrons are sent towards an electrical potential, then more electrons are reflected than was sent in towards the potential when the electrical potential exceeds a curtain value ( ). The article was sent to "Zeitschrift für Physik" in December of 1928 (1929, Vol 53, p. 157). The Klein-Nishina formula thus was an early indication of that the relativistic theory of Dirac for the electron is correct. The first time this apperantly contradictive pseudoparadox was observed was after the discovery of graphene by Andre Geim (1958- ) and Konstantin Novoselov (1974- ) in the year of 2004 which they was awarded with the 2010 year Nobel prize in physics. The reason is that pseudo particles can get energy at the one dimensional material graphene and reflect parts of these pseudo particles is with the same mechanism as with Hawking radiation at black holes. The mechanism with the graphene could thus be called Klein radiation instead. One of four valence electrons which the carbon has in the chicken wire structure no mass and massa contributes to the phenomena. The paradox was discussed at the workshop in quantum mechanics held in Copenhagen in April of 1928. Paul Ehrenfest (1880-1933) concluded the discussions, that unfortunately did not succeed in solving the paradox, with "God knows what Psi is, man knows h". This soon resulted in the Copenhagen interpretation that is a restriction of the freedom of the interpretations of the new quantum mechanics. Klein's pseudo paradox later was resolved when it was shown that a particle-antiparticle pair is created at the potential, in the form of an electron and a positron, that has a tendency to move towards opposite potentials when the passing electron is passing by. The positron, that is the most common anti particle, was not fully understood at this time which complicated the understanding. The positron was experimentally confirmed in 1932 by Carl Anderson (1905-1991) during studies of cosmic radiation. In competition with mainly Ivar Waller (1898-1991) Klein entered the professorship in mechanics and mathematical physics at "Stockholms högskola" in 1930. He succeeded Ivar Fredholm, that died three years earlier and had been the opponent of Klein at his disputation. The professorship had, since the death of Fredholm, been ambulated by Hilding Faxén (1892-1970), that also applied for the professorship but later withdrew it. Nobody had disputed at the university since 1920, so the appointment of Oskar was important for the university and for the theoretical physics in Sweden. Klein would keep this professorship until his retirement in 1962. In 1961, the name of the professorship was changed to "theoretical physics". In 1932 Oskar Klein, using his deep understanding for both quantum and statistical mechanics, succeeded in solving the ten year old question of whether the quantum statistics on molecular level can explain how the entropy increases with time as the second law of thermodynamics tells us. The problem had been noticed already in 1902 by Gibbs in classical statistical mechanics. Oskar's proof, that uses that only the diagonal elements in the density matrix for the phase space of the particles is relevant for the entropy, is now called Klein's lemma. With Klein's lemma, the entropy can increase in the formula of Ludwig Boltzmanns (1844-1906) microscopic definition where it is described with the number of states in the phase space. The results were published in the article "Zur quantenmechanischen begründung des zweiten Hauptsatzes der Wärmelehre" ("Zeitschrift für Physik", p.226, 1932). At the conference in physics in Warsaw of 1938 Oskar was back again on unified field theory when he proposed that a particle with spin 1 mediated beta decay and has the same role as the photon in electromagnetism. This hypothesis was not recognized fully until 1957 when Abdus Salam (1926-1996), Steven Weinberg (1933- ) and Sheldon Glashow (1932-1997) used it on fundamental level in their work on weak interactions in unification with electrodynamics. In the 1940ies, Klein worked in several areas such as superconductors, biochemistry, proton decay, general relativity and the physics of stars. In 1947 he realized that both the electron and the my meson is weakly interacting particles and that the my meson decays into the electron. In 1943 Niels Bohr lived at Klein's house in Sweden for some days during his escape from Denmark to Great Britain due to the Nazists. In 1945 Klein realized together with G Beskow and L Treffenberg after studies of stars etc that the fundamental elements was created in the stars. This is still true in combination with that the fundamental elements are created at the Big Bang, a result that George Gamow (1904-1968), Ralph Alpher (1921-2007) and Robert Herman (1914-1997) arrived at approximately the same time. Oskar Klein died the fifth of February in 1977 in Danderyd, Stockholm. He now has a lecture series named after him called The Oskar Klein Memorial Lecture yearly held at the Stockholm University since 1988. It is visited by some of the greatest physicists. In 1994 a special symposium was held to commemorate what would have been Klein’s 100th birthday. Nya Fysikums great auditorium at Stockholm University is also named after Oskar Klein. The Swedish version of this biography has been proof read by Ernst Klein and Stanley Deser. It is used, with granted permission, by the Oskar Klein Centre at Albanova. More information about other scientists and Homo Sapiens desire to explore the Universe can be found at Kosmologika main page. : Fischer-Hjalmers, Inga & Laurent, Bertel i "Kosmos", Swedish Science Press, Vol 55, 1978, s. 19-29, ISBN 91-546-0238-6. Also translated to english in "Oskar Klein memorial Lectures, Vol 1", 1994 , ISBN 981-02-0353-5.
: Wikipedia about Oskar Klein, Klein-Nishina formeln.